The Religion major has a twofold purpose. First, the faculty introduces the disciplines of religious studies to students to familiarize them with the major areas and issues of Biblical and theological studies. The faculty equips students not only to be knowledgeable in religious studies but also to develop their own interpretive powers. Second, the Religion major provides the beginning stages of professional training for the ministry, preparing students for graduate school or seminary training. The courses are presented from the evangelical perspective. By the application of critical thinking skills and clear logic, the student will evaluate the data of the Old and New Testaments using conventional and technological resources, will interpret that data into sound teaching using proper hermeneutical principles, and will communicate that teaching using effective communication skills both oral and written and using relevant platforms both conventional and technological. Based on sound, biblical teaching, the student will synthesize knowledge from across disciplines and observations of diverse human cultures with the polemic task of the Christian Church which is the communication of doctrinal, ethical Christian living personally and corporately, locally and globally. Based on sound, biblical teaching, the student will synthesize knowledge from across disciplines and observations of diverse human cultures with the apologetic task of Christian missions which is the communication of the Gospel personally and publicly, locally and globally. 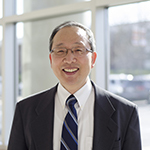 John J. Han specializes in twentieth-century American literature (esp. John Steinbeck and Flannery O’Connor), world literature (esp. Asian poetry), and poetry writing. Since 1986, he has taught a wide variety of college English courses, including American literature, multicultural literature, world literature, Asian literature in translation, and creative writing. In addition to delivering conference presentations and invited lectures, he dedicates his time to poetry writing, translation, and editorial work. And Yet, And Yet—: Haiku and Other Poems (Cyberwit, 2017). More than seventy critical essays published in journals and essay collections, including Literature and Belief, The Steinbeck Review, Steinbeck Studies, John Steinbeck and His Contemporaries, The Moral Philosophy of John Steinbeck, Kansas English, Mark Twain Studies, Journal of Transnational American Studies, Journal of Ethnic American Literature, POMPA: Publications of the Mississippi Philological Association, Journal of Bunka Gakuen University, Journal of Humanities, and Research in the Humanities. Sixty-seven reference entries published in various compendiums: New Catholic Encyclopedia Supplement, Dictionary of Literary Characters, The Encyclopedia of Christian Literature, Conflicts in American History, Encyclopedia of American Popular Fiction, The Facts On File Companion to the World Novel (1900 to the Present), Encyclopedia of the Reconstruction Era, The Encyclopedia of Africa and the Americas, The Encyclopedia of American Race Riots, The Greenwood Encyclopedia of African American Folklore, Irish Women Writers, American History through Literature (1870-1920), The Greenwood Encyclopedia of African American Literature, Encyclopedia of Catholic Literature, Writers of the American Renaissance, Asian American Playwrights, Catholic Women Writers, Asian American Autobiographers, Asian American Novelists, Feminist Writers, and New Immigrant Literatures in the United States. Numerous poems published in journals and anthologies worldwide, including Akitsu Quarterly, Asahi Shimbun, cattails, Cave Region Review, Elder Mountain, Failed Haiku, Four and Twenty, Frogpond, GEPPO, A Hundred Gourds, Kansas English, kernels, The Laurel Review, Mainichi Shimbun, Mariposa, Modern Haiku, Nepali Art and Literature, POMPA, Prune Juice, The Red Moon Anthology of English-Language Haiku, The Sacred in Contemporary Haiku, Simply Haiku, South by Southeast, Steinbeck Studies, Taj Mahal Review, Under the Basho, Valley Voices, A Vast Sky: An Anthology of Contemporary World Haiku, and World Haiku Review. Translator of hundreds of poems (Korean to English, Chinese to English and Korean, and English to Korean) and author of more than eighty book reviews published in such journals as Cantos, Crossroads: An Interdisciplinary Journal of Southeast Asian Studies, Intégrité, Steinbeck Studies, and Valley Voices. Flannery O’Connor Review; MELUS: Multi-Ethnic Literature of the United States; International Letters of Social and Humanistic Sciences; Faith and Scholarship; Teaching English Literature. Regents Fellowship, Graduate College, UNL, 1993-94. Dr. Curtis McClain is a professor of Bible and Director of Christian Studies, a program which offers a certificate, an associate degree, two majors toward a baccalaureate degree, and an M.A. in Christian Ministry. He comes from a rich heritage of ministry in Southern Baptist life. During college and seminary days, he worked in two youth ministries, participated in mission trips to Mexico and Wyoming, pastored two churches, and taught in a school for children with learning difficulties. He came to MBU near the end of seminary training. While serving MBU, he has been the interim pastor of nine churches, participated in mission trips to Latvia, Australia. “Uniting Hearts, Minds with the Truth of God’s Word.” Pathway 1:20 (Nov. 4, 2003):5. “The Raz-Pesher Motiff in the New Testament.” A paper presented at the Midwest Conference of the Evangelical Theological Society in February 1998. “The Missionary Attributes of God.” Mid-America Theological Journal 22 (1998):69-79. “On Schedule, As Planned.” MetroVoice April 1996. “Total Commitment: Studies in Colossians.” Pursuits July-September 1995, Life and Work Series, Teacher’s Edition. “The Raz-Pesher Motif.” A paper presented at the National Conference of the Evangelical Theological Society in November, 1994. “Irrelevant or Immaterial.” MetroVoice April 1994. “The Certainty of Salvation (Matthew 7:13-29).” Mid-America Theological Journal 16 (1992):83-94. “Isaiah’s Servant Songs.” Mid-America Theological Journal 15 (1991):87-101. Writing is a vital part of academia. In my classroom, I encourage my students to find strategies that will work for them inside and outside of the course. Through many activities, I provide a fun and fast paced atmosphere where students are able to practice their writing process. For me, writing is a life line. Without the space to vent, to empathize, to reflect, and to dream, I would not survive. People must write for many reasons. I seek to pass on my passion for words to my students, enabling them to become stronger writers. Matthew Bardowell specializes in medieval literature, specifically Old English Poetry and the literature of the Vikings. His research interests also include the works of J.R.R. Tolkien, the Inklings, aesthetics, and the study of emotion. In writing courses, he teaches students to employ strategies that help them explore questions and ideas of significance to them. In literature classes, Matthew takes an interdisciplinary approach, drawing together philosophy and history in order to help students attend to the beauty and singularity of artistic expression. Matthew stays active in the St. Louis community by giving presentations through the St. Louis Public Library and organizing community-wide events to present the literary background of popular film and TV adaptations. “Dwarf.” (with Paul Acker) The Ashgate Encyclopedia of Literary and Cinematic Monsters. Ed. Jeffrey Andrew Weinstock. Burlington: Ashgate, 2013. “Dragon.” (with Paul Acker, Ruth Babb, Anthony Cirilla, Michael Elam, Melissa Mayus, Thomas Rowland, and Lin Wang) The Ashgate Encyclopedia of Literary and Cinematic Monsters. Ed. Jeffrey Andrew Weinstock. Burlington: Ashgate, 2013. “The Inklings Remembered: A Conversation with Colin Havard.” (with Justin T. Noetzel) Mythlore 31.1/2 (2012): 29-46. “J.R.R. Tolkien’s Ethos of Creation and Its Finnish Analogues.” Journal of the Fantastic in the Arts 20.1 (2009): 91-108. Renascence: Essays on Value in Literature 61.4 (2009): 156-69. “Making Sense of Experience: Art in Response to Emotion in Egil’s Saga,” The 49th International Congress on Medieval Studies, Western Michigan University, Spring 2014. Christian Scholars’ Conference, Lipscomb University, Summer 2013. “Speaking Grief: The Aesthetics of Concealment in the Icelandic Family Sagas,” The 87th Annual Meeting of the Medieval Academy of America, Saint Louis, MO, Spring 2012. “The Book of Margery Kempe and the Serious Business of Playing at Belief,” The 53rd Annual Convention of the Midwest Modern Language Association, Saint Louis, MO, Fall 2011. 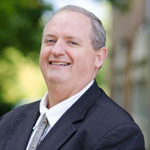 Dr. Andy Chambers, vice president for Student Development and Associate Professor of Bible, has served at MBU since 1997, formerly as assistant professor of Bible and dean of students. Chambers oversees campus departments including residence life, student activities, career services, and international studies. Chambers, a St. Louis native, holds a B.S. in mechanical engineering from the University of Missouri – Rolla, and a Ph.D. from Southwestern Baptist Theological Seminary in Fort Worth, TX. He and his wife, Diana, have four children, Amanda, Bethany, Eric, and Michael. In Lifeway’s Biblical Illustrator: “Jesus’ Role as Apostle,” (Summer 1996): 46-49; “Chastening,” (Summer 1997): 41-42; “Jews in Asia Minor,” (Winter 2000): 78-80; “Time in John’s Gospel,” (2002): 43-46; “Myths, Genealogies and Old Wives Tales,” (Fall 2006): 50-54; “The Heart: A New Testament Understanding,” (Summer 2014): forthcoming. In Lifeway’s Life and Work Pursuits: “Understanding the Gospel from Matthew’s Angle,” (January-March 1997): 3-4; “Understanding the Gospel from John’s Angle,” (September-November 1997): 3-4; “Answering Questions about Spiritual Growth,” (September-November 1998): 2-3; “The Bible Intersects Life,” (January-March 1998): 13; “What’s Right and What’s Wrong?” (Summer 2000): 98-105. In Lifeway’s Advanced Bible Study Commentary: “Managing God’s Assets,” Five Bible studies on stewardship (Winter 2000): 46-90; “Following Jesus,” Three Bible studies on discipleship (Winter 2001): 25-49; “What Does Jesus Do for Us?” Six Bible studies on the Gospel of John (Spring 2007): 8-67; “Living for Another World in This World,” Five Bible studies on Daniel (Fall 2007): 9-58; “Living 3:16 in a 9/11 World,” Five Bible studies on the 3:16 verses of the New Testament (Fall 2007): 9-57; “Life at Its Best,” Five Bible studies on Hebrews (Summer 2008): 92-138; “Gospel Crossroads,” Four Bible studies on the doctrine of Christ (Spring 2009): 57-92; “Profiles in Character,” Five biographical Bible studies (Spring 2009): 93-138; “Finding and Following God’s Will,” Five Bible studies on knowing and doing the will of God (Summer 2009): 90-137; “The Battle for the Mind,” Five Bible studies on the Christian world-view (Winter 2010): 97-137; “Wrestling with Life’s Mysteries,” Five Bible studies on Ecclesiastes (Winter 2010): 46-96. In Lifeway’s Explore the Bible: “Move Forward Please,” Thirteen Bible studies on Philippians, Colossians, and Philemon (Spring 2011): 12-114. In The Pathway (state paper of the Missouri Baptist Convention): Weekly writer for Lifeway’s Bible Studies for Life curriculum (2003-10), approximately 400 lessons; “Jeremiah 6:16: Ancient Paths, Rest for the Soul,” (October 28, 2002): 14; “Da Vinci Code Fiction in a Post-Truth Society,” (May 19, 2006): 8-9; “Pilate between a Rock, a Hard Place,” (April 8, 2007): 16. In SBC Life: Journal of the Southern Baptist Convention: “Sin and Providence in The Lord of the Rings,” (December 2003): 8-9; “The Church—Healthy Body Life: Luke’s Vision for Church Life in Acts,” (December 2011): 12-13. In Word and Way: Weekly Sunday School lesson writer for Lifeway’s Family Bible Series (August-November 1999): 11. In Intégrité: A Faith and Learning Journal: “A View from the Other Side: Observations on the Work of the ‘Rhodes Consultation on the Future of the Church Related College’ with Suggestions for Evangelicals,” (Fall 2002): 4-19; “The Promise and Peril of Postmodernism for Ministry Today,” (Fall 2003): 53-69. In MBU Magazine: “Vocation: A Calling to Career as a Call to God,” (Winter 2003): 9-10. 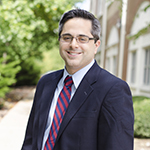 Dr. Matthew Easter is Assistant Professor of Bible at Missouri Baptist University. A St. Louis native, Easter is committed to the local community and the life of the university, and strives to help students grow into everything God calls them to be. Matt is active in the academic world through publishing and presenting research. His areas of specialization include the book of Hebrews, and faith, discipleship, and the church in the New Testament; he has presented on these and other topics at conferences around the world. His first book, Faith and the Faithfulness of Jesus in Hebrews, was published in 2014 by Cambridge University Press. He and his wife Andrea have three children: Evelyn, Eliana, and John. Faith and the Faithfulness of Jesus in Hebrews. Society of New Testament Studies Monograph Series. Cambridge University Press, 2014. “The Anabaptist Vision of the Church and Faith in the Epistle to the Hebrews.” In Ears That Hear: Explorations in Theological Interpretation of the Bible. Edited by Joel B. Green and Tim Meadowcroft. Sheffield Phoenix Press, 2013. “ ‘Certainly this Man was Righteous’: Highlighting a Messianic Reading of the Centurion’s Confession in Luke 23:47.” Tyndale Bulletin 63.1 (2012): 35-51. “The Pistis Christou Debate: Main Arguments and Responses in Summary.” Currents in Biblical Research 9.1 (2010): 33-47. “Paul and Faith: A Christocentric Construal.” Refresh: A Journal of Contemplative Spirituality 9.1 (2009): 9-12. “Esau as Prototypical Defector from the Community of Faith in Hebrews 12:16-17.” Annual Meeting of the Evangelical Theological Society. New Testament General Studies II Section. Providence, RI. November 2017. “Faith in the God who Resurrects: The Theocentric Faith of Hebrews.” Central States Regional Society of Biblical Literature Meeting. New Testament III Section. St. Louis. March 2016. “Jesus’ Coming to the Deceased Faithful: An Alternative to a Parousia Reading of Hebrews 9:28 and 10:37.” Central States Regional Society of Biblical Literature Meeting. New Testament III Section. St. Louis. March 2012. “Hebrews 11:3 and the Hope of Resurrection.” Aotearoa-New Zealand Association of Biblical Studies (ANZABS) Conference. Christchurch. December 2011. “The Anabaptist Vision of the Church and Faith in the Epistle to the Hebrews.” Colloquium on Theological Interpretation. Laidlaw College; Auckland. August 2011. “We Must Pay Much Closer Attention: Drifting Away as the Default Human Story of Unfaithfulness in Hebrews 2:1-4.” Aotearoa-New Zealand Association of Biblical Studies (ANZABS) Conference. Dunedin. December 2009. “‘Certainly this Man was Righteous’: Highlighting a Messianic Reading of the Centurion’s Confession in Luke 23:47.” International Society of Biblical Literature Meeting. Synoptic Gospels Section. Rome. July 2009. “Toward a Narratival Reading of Πίστις in the Epistle to the Hebrews.” International Society of Biblical Literature Meeting. Methods in New Testament Studies Section. Rome. July 2009. 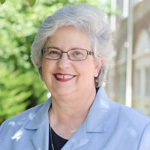 Mary Ellen Fuquay serves as Assistant Professor of English and as Director of EXCEL, administering several early college programs including dual credit and Achieve. She received an M.A. in English from the University of Virginia and a B.A. in English from Oklahoma Baptist University. Working with more than 40 high schools each year, Ms. Fuquay is familiar with the many school environments MBU students have experienced, and her work in organizational and business life has given her insight into the various kinds of writing students encounter in college and in their careers. For many years she has copy-edited for campus publications and various offices. Earlier in her career, she taught high school English, worked in the real estate and financial industries, and served for more than 25 years as a piano accompanist, four of those years as MBU’s staff accompanist. She has volunteered in various church and community organizations. Ms. Fuquay has two grown daughters and a twelve-year-old grandson. “A King’s and a Captain’s Madness” Master’s Thesis. Charlottesville, VA: University of Virginia, 1970. MBU EXCEL Faculty Liaison Workshop, 2017. “EXCEL Liaison Training: Meeting Expectations for All Accrediting Bodies.” MBU EXCEL Faculty Liaison Workshop, 2015. Julie Ooms is an Assistant Professor of English at MBU, where she teaches courses in composition, world literature, and American literature. She has published articles on several different 20th century American writers, and presented conference papers on American war literature, dystopian literature, composition and rhetoric, and even comic books. Writing is, for her, first and foremost a way to communicate and forge connections between different people across time, space, and experience. 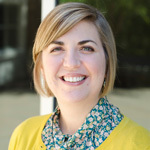 In her teaching and interacting with students, she seeks to help them find connections between themselves and the writers of the past, and actively connect with others in their own right as readers, writers, and researchers. “‘Battles are always fought among human beings, not purposes’: Tim O’Brien’s Fiction as a Response to the Crisis of Modernity.” Renascence 66.1(Winter 2014): 25-45. Print. “‘Take care with whom you break bread’: The Sacramental Meal in Cormac McCarthy’s All the Pretty Horses.” Beyond Borders: Cormac McCarthy’s All the Pretty Horses. Ed. by Rick Wallach. Miami: The Cormac McCarthy Society, 2014. 213-223 Print. “‘I mean you didn’t really know Walt’: Walt Glass as Salinger’s Way of Keeping His “Oath” about Telling War Stories.” Journal of the Short Story in English 62(Spring 2014): 67-78. Print. Marie Tudor serves as the Director of First Year Experience at MBU. She also serves as Coordinator for World Citizen, Instructor of Interdisciplinary Studies, and Student Success Advisor for international students. 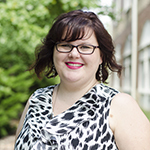 Ms. Tudor attended MBU for both undergraduate (2005) and graduate studies (2007) in Psychology and Christian Ministry. She has also led several student teams on international mission trips to Puerto Rico, Romania, the Dominican Republic, and Guatemala. Her desire is to see all MBU students use their time at university, from orientation through graduation, to discover the path the Lord has laid for them and to engage with the beautifully diverse world all around. 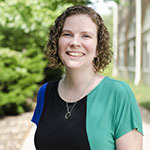 Jessica Wohlschlaeger is an instructor of English at Missouri Baptist University (MBU) in St. Louis, MO. Originally from Effingham, IL, Jessica moved to St. Louis to pursue an English and Secondary Education undergraduate degree at MBU. After graduation, she proceeded to a graduate program at Southern Illinois University Edwardsville to pursue a Master’s in American and British Literature. After completing her degree, she and her husband moved back to St. Louis where she has been employed full time at MBU since August 2011. Tonnie P. Bradford is first and far most a committed servant of God, who is a license and ordinate minister of the Gospel, with pastoral experience in the Baptist denomination as well as teaching experience at both MBU and the National Baptist Congress of Christian Education. Rev. Bradford has received a variety of training to help equip others. He has and continues to serve in many capacities since accepting his call to preach and teach, including teaching Biblical courses local and Nationally, Revivals, Workshops, Seminars, Adjunct Professor with an emphasis on Old Testament and New Testament History, as well a few 8 week courses, such as World Religion, Cross Cultural Ministry and Urban Church Planting. He is the husband of Brenda Bradford, who serves as the Chair of the Business Division here at MBU. They both serve the institution and the church by advancing the Kingdom of God. He brings with him a great desire for students to hear and know the Word of God and to serve the Lord. Certified Instructor for National Baptist Convention, USA Inc.
Certification in Expository Preaching, E.K. 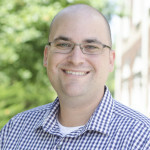 Bailey Ministries, Inc.
Bryce leads the University’s integrated communications efforts, working to communicate MBU’s distinct brand to its many stakeholders. Bryce’s chief responsibility is to plan and execute the University’s brand awareness campaign in the St. Louis market. In his role, Bryce oversees strategic communications efforts related to visual identity, media relations and digital communication. Bryce is the editor of the University’s award-winning MBU Magazine. Bill earned undergraduate degrees in History and Religion, and graduate degrees in Religion and family Counseling. He also did post graduate work at Eden Theological Seminary and studied Philosophy and Adult Education at the University of Missouri-Columbia. He completed a one year internship in Clinical Pastoral Education at Central Methodist Med Center, St. Joseph, MO. Among the varied background Bill brings to teaching is 24 years in local church ministry, 3 years as a hospital Chaplain, and 14 years as a Military Chaplain in the Air National Guard and US Air Force Reserve. He was activated to active duty during the first Persian Gulf War. 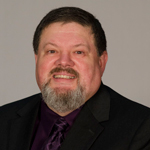 Before teaching full time for the Humanities Division, he served MBU as Director of the Troy/Wentzville Regional Learning Center, and the Lewis and Clark Regional Learning Center. In addition to teaching in the Humanities for 20 years he has also served as Academic Dean and Director of Faculty at other area colleges. Writer for the Uniform Series Bible Study Lessons, Word & Way, March-May 1984. From an extremely young age, languages and teaching have always been my career passions. Languages are more than mere words. They are living and culturally enriching. I have enjoyed 8 years of teaching in elementary schools, and over 26 years of teaching Spanish to students from pre-school through the university levels. I have been richly blessed with opportunities of mission work (domestic and abroad) and travel. I desire that students may embrace living and breathing a language and its culture. benjmain.leonard@mobap.edu I try to be the best presenter of the amazing Bible that I can possibly be. My students report that they sense God’s presence in the room, and that the interaction of the course inspires them to also engage seriously. In my classes, you will learn more Bible than most church people know, but further, you will clearly be challenged to do something with it! God does not simply want people to know ABOUT Him, He wants you to know Him, and experience His Awesome Glory! I work very hard to communicate this awesome God in a passionate, funny, challenging way so as to inspire you to also strive for excellence. I have pastored for 30+ years, so this is not my first rodeo. I have been married to the same amazing woman for 35+ years. God has blessed and anointed my life – not because I am anything, but because He is a God of Mercy and Grace! Let’s engage together!